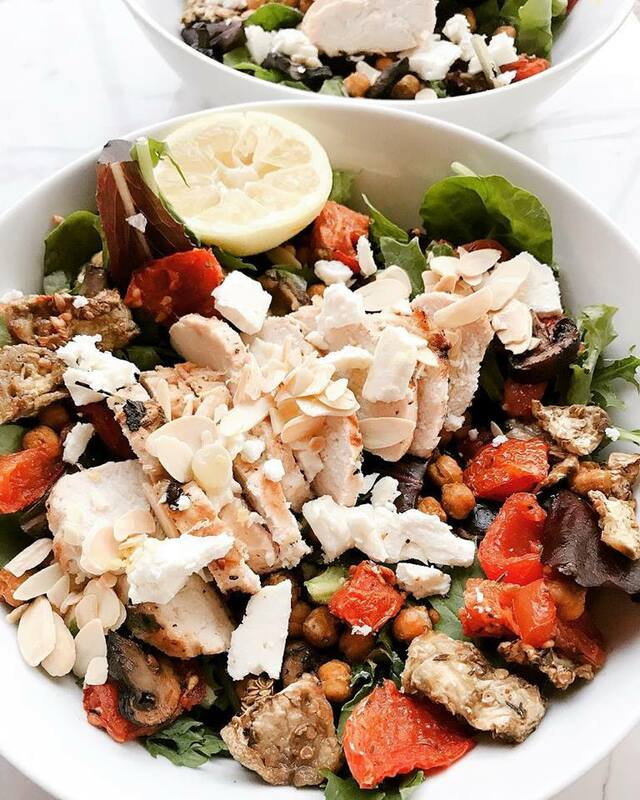 New favorite salad alert this Mediterranean Crunch Salad is so citrusy fresh - perfect for summer. I baked some cumin flavored chickpeas to add some healthy crunch instead of nutritiousness croutons. These baked chickpeas are so yummy even as a snack on the go! 🔅 Toss chickpeas in 1 T Chosen Foods Avocado Oil, 1 tsp salt and turmeric. 1/4 tsp cracked black pepper, cumin and garlic powder. 🔅 Arrange on a baking sheet. Roast in the oven at 325 degrees for 1 hour. 🔅 Store in pantry for 3 days or in the fridge for up to 2 weeks.